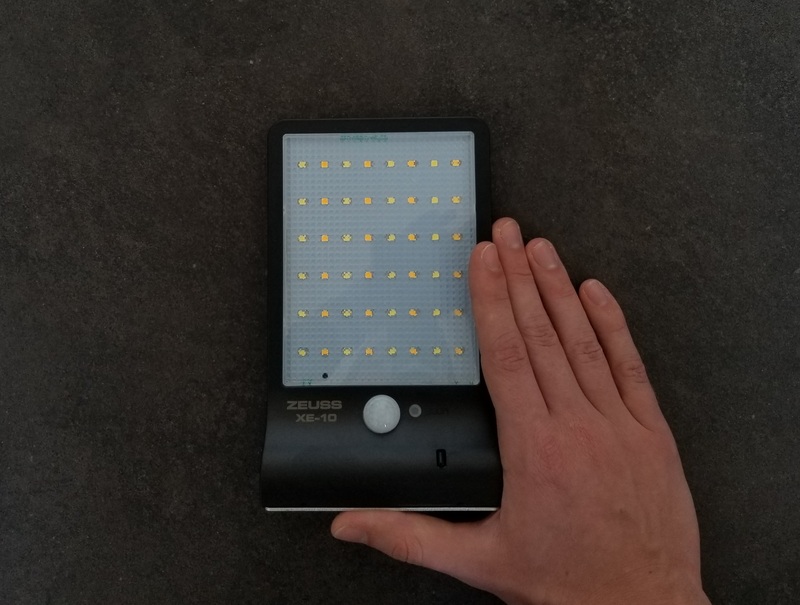 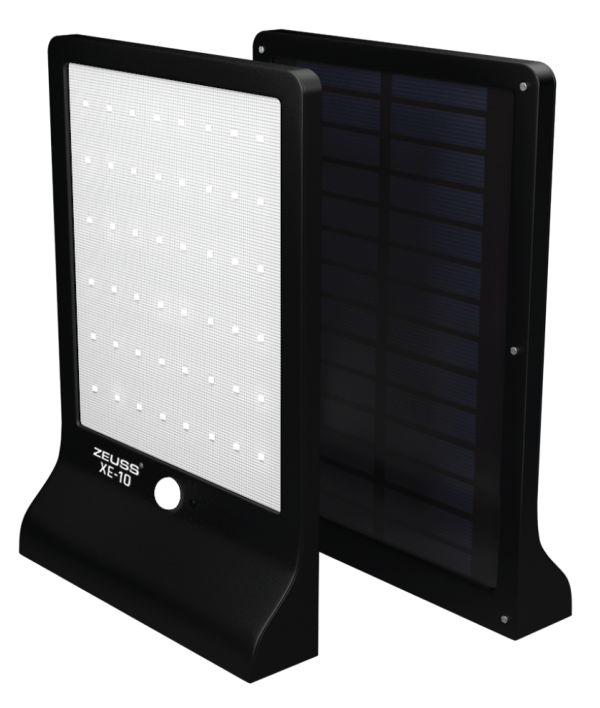 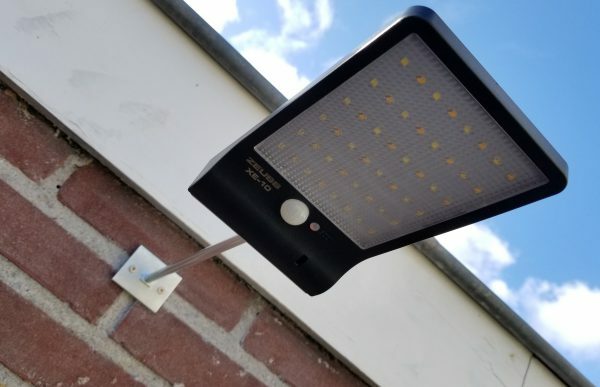 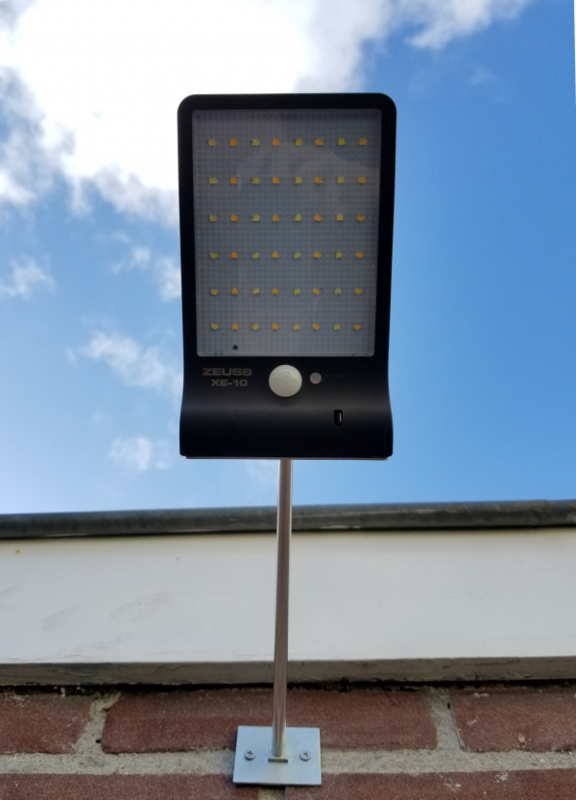 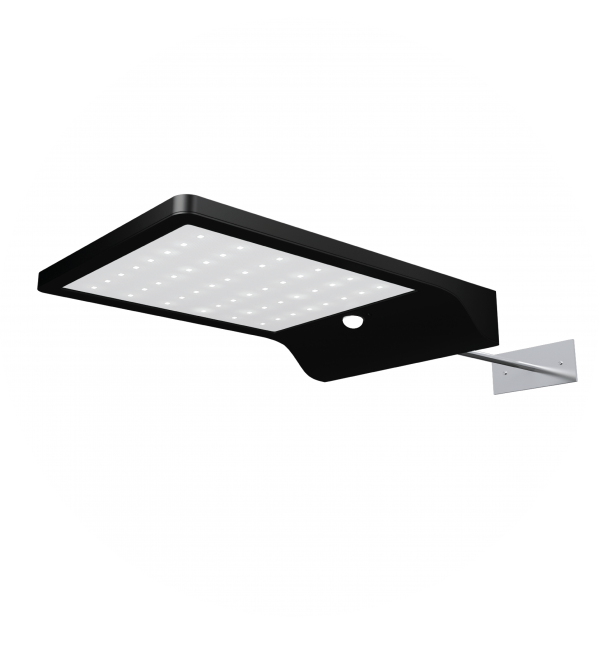 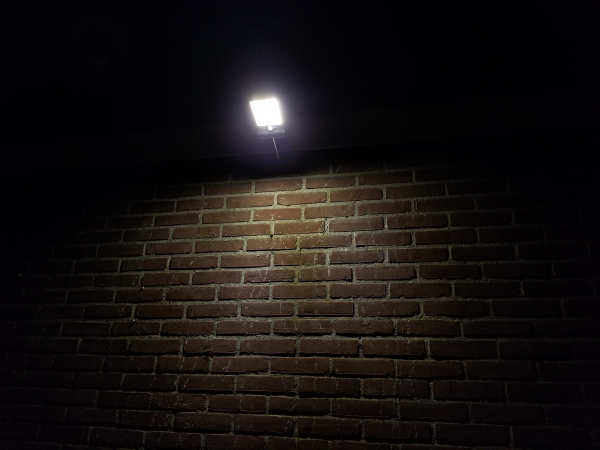 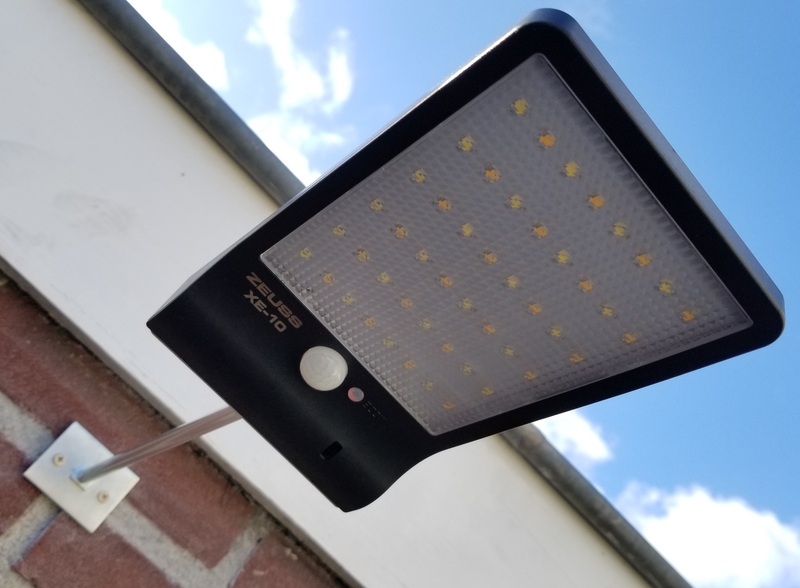 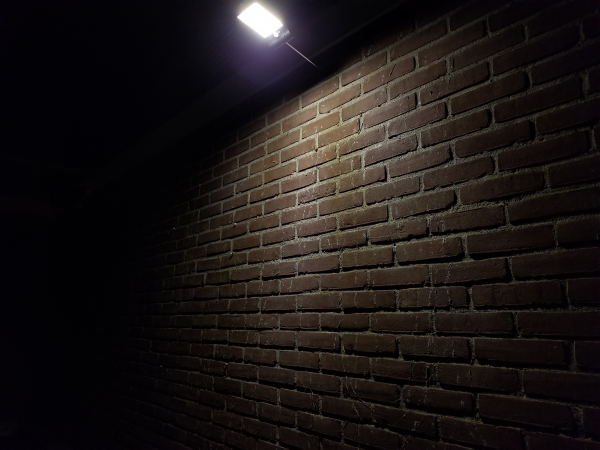 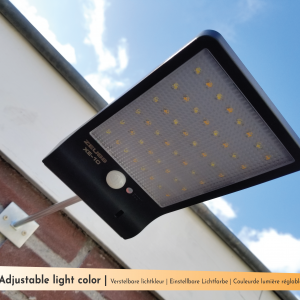 A practical super slim outdoor walllight with, 450 Lumen, adjustable light color, waterproof housing (IP65), remote control, motion sensor, night sensor, 2200mAh lithium battery, and three sturdy and durable ways to mount it? 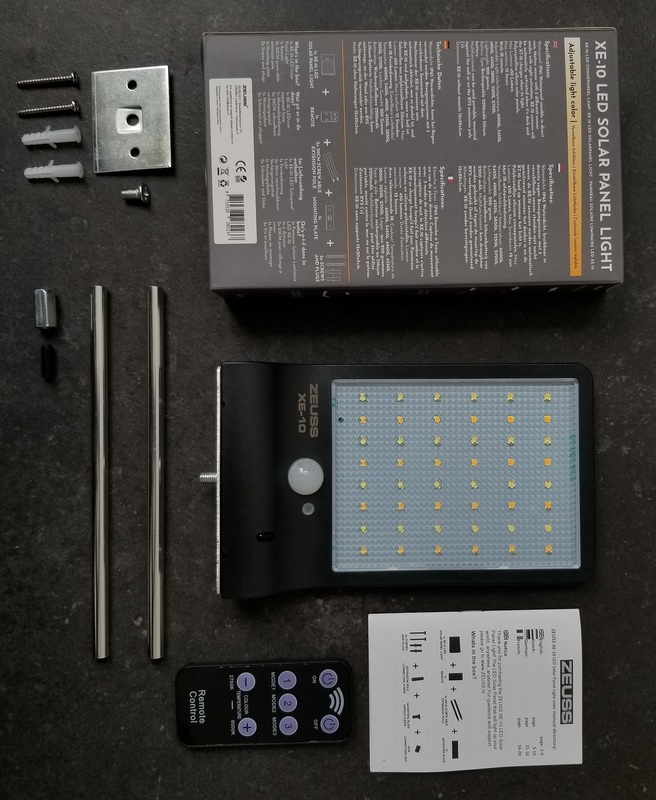 And all this works on solar energy! 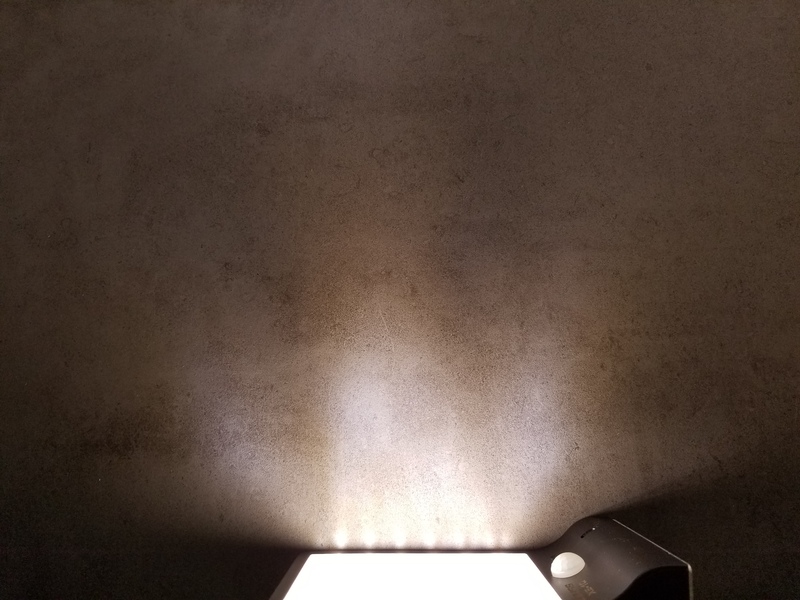 See bellow for a video and more information! 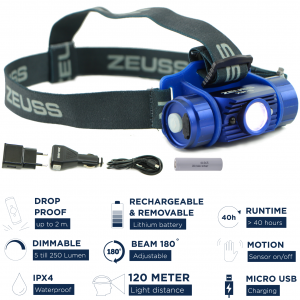 The Zeuss XE-10 has 450 lumen and the color temperature of the light can be adjusted in 7 steps, from 2700 (warm) to 6000 K (cold). 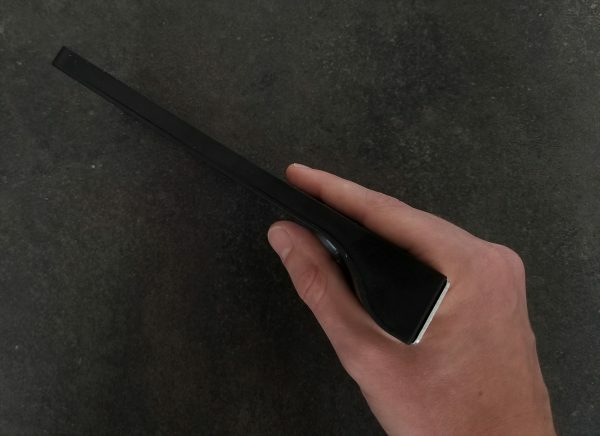 A handy remote control is included to do this all. 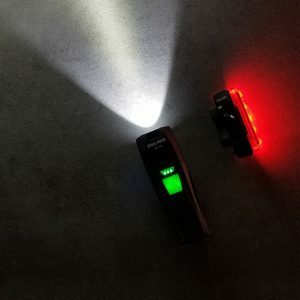 Thanks to the movement sensor you do not have to search for your keys late at night and guests – also the unwanted variant – are announced on time. 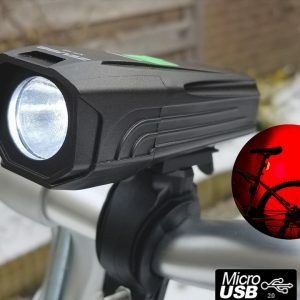 Mode 1: 20% brightness on when it gets dark and 100% brightness when motion is detected. 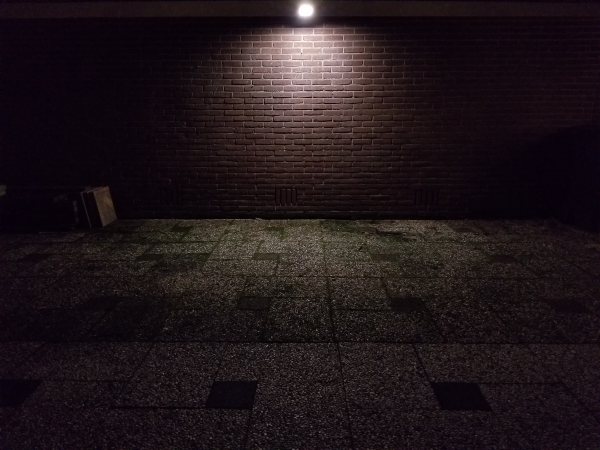 Mode 2: 100% brightness when motion is detected. 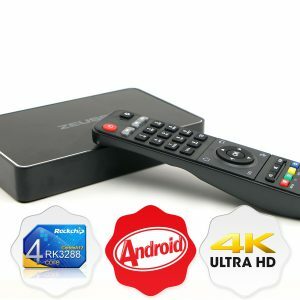 The mode is easily selected with the included remote control. 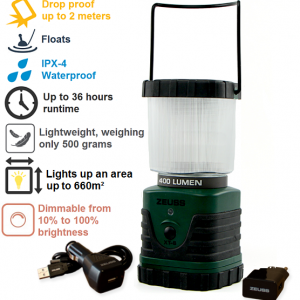 The housing has an IP65 certification and is therefore water-resistant; the whole light weighs only 200 grams, so you can easily install it wherever you want. 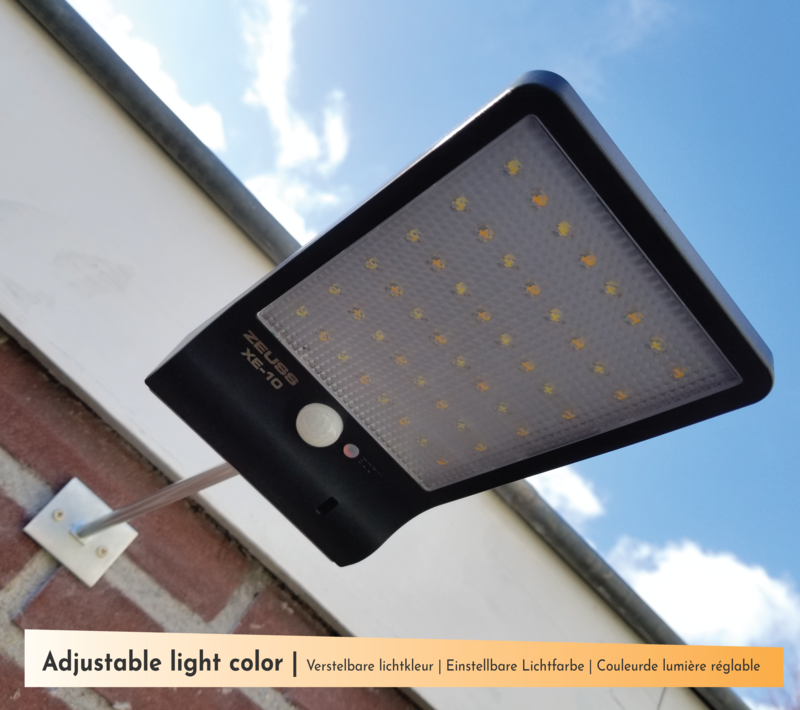 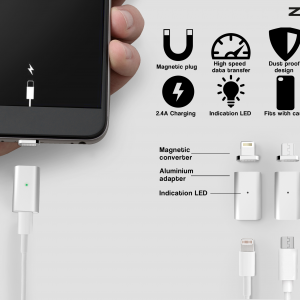 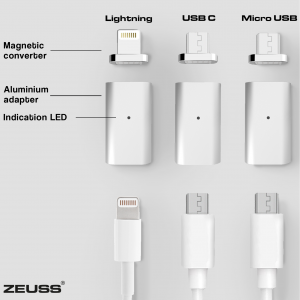 You can place it close to the wall, on the stainless steel extension (20 or 40 cm) or use it as a portable lamp. 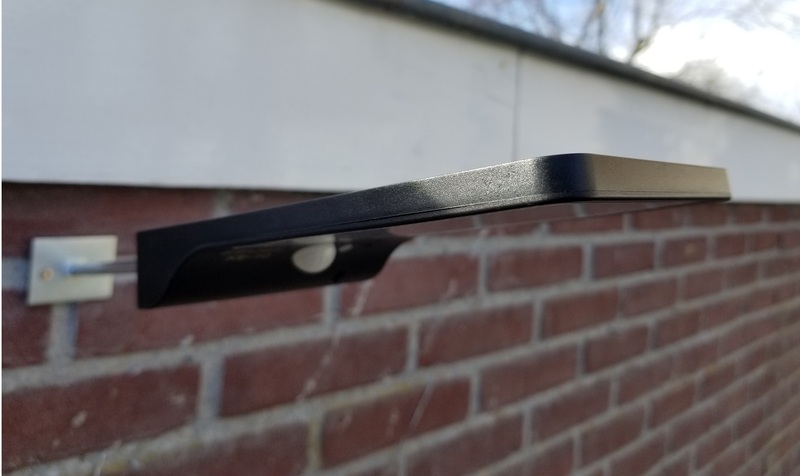 The fastening is sturdy and durable thanks to the strong stainless steel mounting points for both the wall and the back of the XE-10. 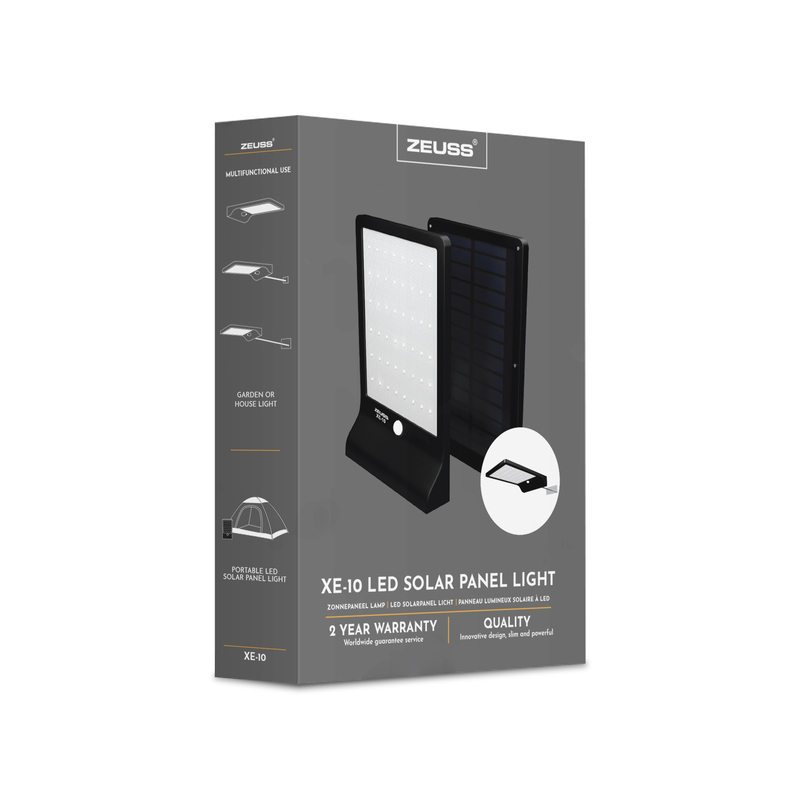 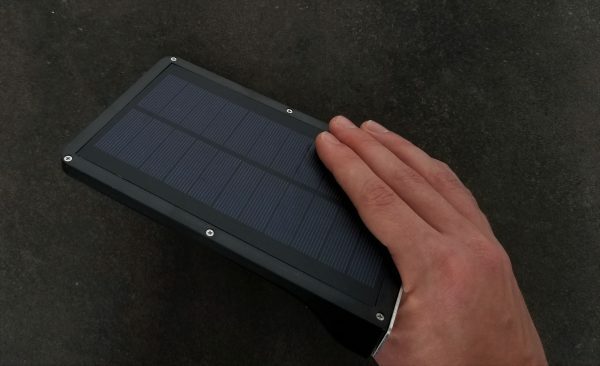 Thanks to the top with polycrystalline silicone solar panels and an integrated battery of 2200 mAh, you do not have to worry about a connection to a power plug.